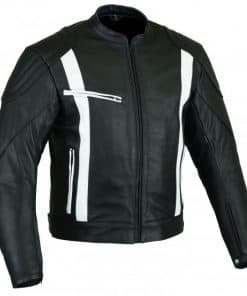 Colour: black only, sizes: 8-18. 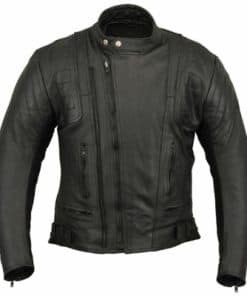 1-1.2mmcowhide leather.This style has a angled zip wich gives you a double coverage through the chest and keeps the wind out. 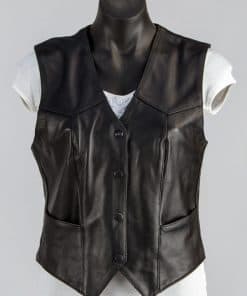 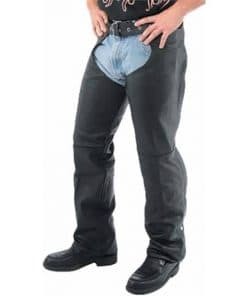 this style has pockets for elbow and shoulder protectors. 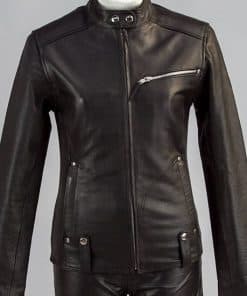 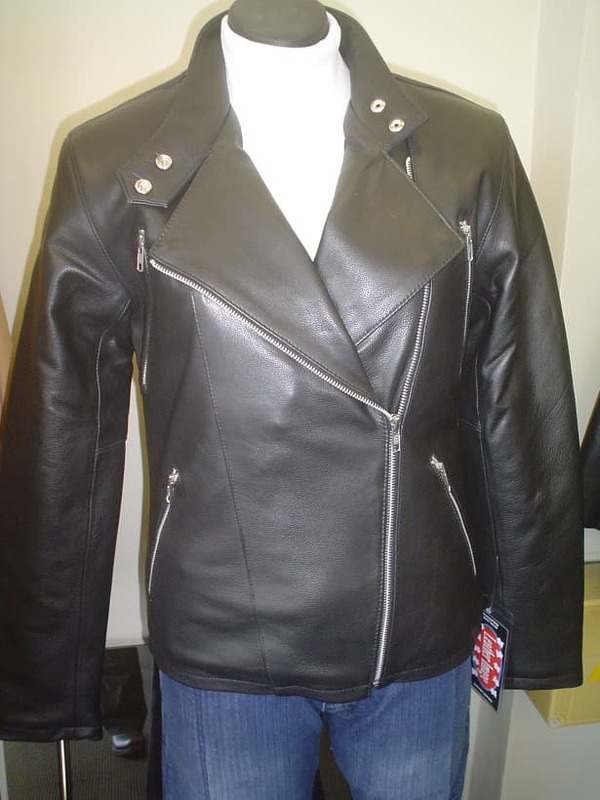 This is a very stylish jacket that can be worn on or off the bike, which makes it one of our most popular female motorcycle jackets in our range. 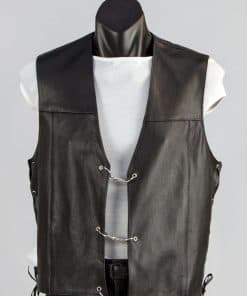 It is also a noice fitted style so it gives you that feminine look, but also gives you that traditional style. 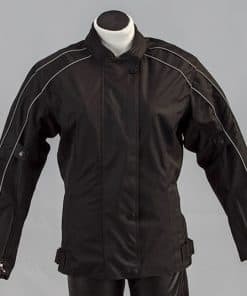 look good this season on or off the bike and I know you will not be disapointed. Female Leather Motorcycle Jacket GX 87. 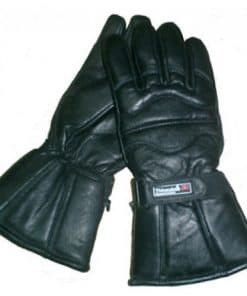 Colour: black only, sizes: 8-18. 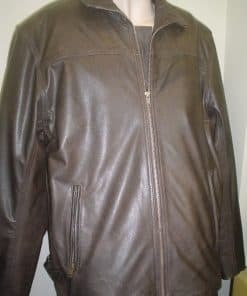 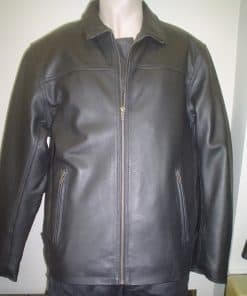 1-1.2mm cowhide leather, this style has a angled zip which gives you a double coverage through the chest and keeps the wind out. 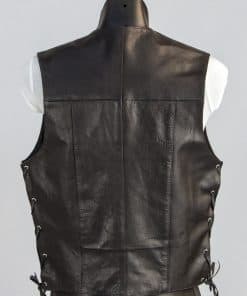 This style has pockets for elbow and shoulder protectors. 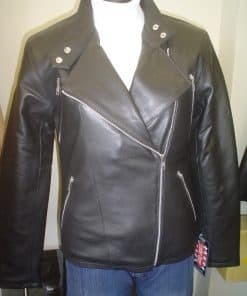 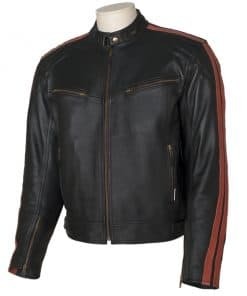 This is a very stylish jacket that can be worn on or off the bike, which makes it on of our most popular female motorcycle jackets in our range. 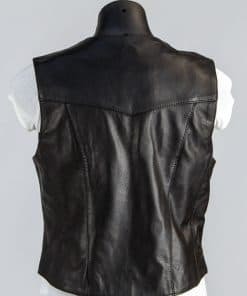 It is also a nice fitted style so gives you that feminine look but still gives a traditional style. 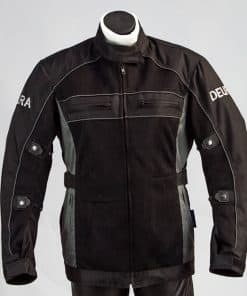 look good this summer or winter on the bike, you will not be disappointed.